We are seeking a Night Vet with proven experience to join a friendly Practice in Cambridgeshire. You will join a great team at a fantastic well equipped practice where you will be supported throughout your time. This position does require and immediate start. You will be work 7 on and 7 off. Offering you a great work life balance. competitive salary and benefits package. Accommodation can also be offered. We are seeking a Veterinary Surgeon with proven experience to join our friendly 100% SA practice in Bedfordshire. You will be working a 4 day week plus Saturday mornings on a rota with NO OOHs. Offering you a great work life balance. competitive salary and benefits package. We have an exciting opportunity for a Graduate Vet to join a friendly practice in beautiful Cambridgeshire. You will work alongside a great team of 2x vets and the supporting nurses who strive for the success of the business as well as giving the best clinical care to their clients and their pets. The ideal candidate will ideally want to work with small animals and be highly enthusiastic. The position will require a start date of around July. An excellent package is on offer, including a competitive salary and other great benefits. A fantastic opportunity has arisen for an experienced Night Vet to work at a busy well equipped practice in Cambridgeshire. You will work 7 nights on, 7 nights off. You will work with a great team of vets and nurses who are dedicated to the care of the pets and supporting each other as a team. The ideal candidate will be a great team player and have excellent communication skills. Competitive salary is on offer, certificate supported plus accommodation and other great benefits. An exciting opportunity has arisen for a qualified or experienced veterinary nurse to join a expanding, friendly team in Cambridgeshire. You will get to nurse a variety of cases, both medically and surgically. Clinical Coaching qualification, or the desire to gain the certificate is beneficial but not essential. Part time or full time applicants will be considered for the position. An excellent package is on offer for the right applicant. 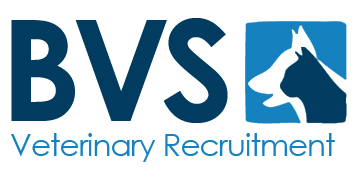 A busy first opinion RCVS accredited referral hospital based in Peterborough has an exciting opportunity for an experienced RVN to join its friendly and experienced team. Duties include: theatre work including orthopaedics, inpatient care and nurse clinics. This is a forward thinking practice that is open to new ideas. This vacancy is being offered with the additional benefit of NO OOH. Weekends on a rota basis with time off in lieu. Excellent package available to right candidate including CPD & Pension scheme. An RCVS accredited hospital based in Peterborough requires a dedicated out of hours veterinary nurse. An experienced nurse is required, ideally a RVN. Experienced in emergency work whilst preferable is not essential.You will be working alongside a night vet to provide exceptional care to both patients and clients.The role will be 7 nights on and 7 nights off on a rolling rota basis.A competitive package is available to the right candidate. An exciting opportunity has arisen for a junior veterinary surgeon to be based at a busy veterinary hospital in Peterborough. Whilst we ask that you have basic consultation and neutering skills, this is an excellent opportunity to help develop and improve your skills as you will be working alongside experienced vets and certificate holders.You will work a maximum 45 hours per week with minimal Out of Hours. A competitive salary is on offer for the right candidate. Dedicated Night Vet required to work at a friendly practice in Peterborough.  An RCVS accredited hospital based in Peterborough requires a dedicated out of hours vet. You will be an highly enthusiastic and confident Vet who is able to perform all emergency procedures and happy to work sole charge but alongside an experienced veterinary nurse. The role will be 7 nights on, 7 nights off on a rolling rota. A highly competitive salary is on offer plus many other benefits. An exciting opportunity has arisen for an enthusiastic RVN or experienced student to join a 3 branch practice in Cambridgeshire. This is a fantastic opportunity to join and lead a wonderful 1 Vet 2 Nurse team in their busy small animal practice. The ideal candidate will have strong intrapersonal and leadership skills alongside sound IT skills and business understanding. This is a full time position that offers 5 weeks holiday and staff discount. You will also have the benefit of the company pension scheme and much more. We are looking for an enthusiastic VS to join a welcoming team in their 2 spacious and well equipped Cambridge practices. You will be working full time across the two practices, with access to state of the art facilities, providing you with a fantastic environment to develop you skills. The practice has a number of experienced Vets and nurses who can provide support when needed and specific interests and certificates are encouraged! An RCVS accredited training practice are seeking an enthusiastic RVN to join their wonderful team in Cambridge. The practice is exclusively small animals and furries, and offers fantastic facilities in which to develop you skills, including full lab equipment, x-ray, ultra sound and laparoscopic equipment. The ideal candidate will have a good level of general nursing which the team can help to grow. Being ambitious and motivated is key as well as being bale to work and communicate well within the team. One of our corporate clients are seeking a full time floating RVN to join the team working across a number of their practices in the Cambridgeshire areas. This role will suit someone who enjoys variety and interacting with people at all levels. You will be working with a professional and friendly team of veterinary nurses and get the opportunity to spend time in well equipped branch surgeries and two state of the art tier 3 hospitals. The successful applicant will work a 42 hour week which will include a Saturday rotation and you will be offered a very competitive salary and benefits package. If you'd like to apply or require more information please email your CV to ben@bvsvets.co.uk or call me directly on 07806 685 294. We have an excellent opportunity for an enthusiastic vet to join a rapidly growing practice in the Cambridgeshire region and develop clinically with the full support of an experienced team. The successful candidate will have full freedom to work up cases and develop their own client base with as much support from the team as required. You will be given the opportunity to work in all three of the practices branches where you will be working alongside dedicated, friendly and highly experience colleagues. This exciting position is full time, 4.5 day week with Saturdays on a rota basis, and no OOH commitments. The ideal applicant will have good general surgical and medical experience and be comfortable working in a sole charge capacity. You will also work well in a team and have an excellent customer focus. A generous salary and benefits package is on offer commensurate with experience. If you'd like more information or you wish to apply please email your CV to ben@bvsvets.co.uk or call me directly on 07806 685 294.